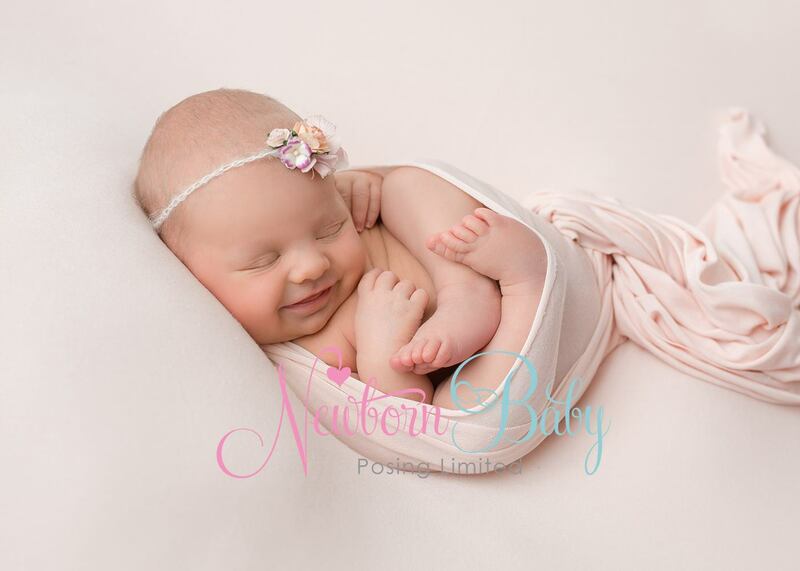 We will always start a newborn photography shoot by wrapping baby in 2 wraps. The first wrap maintains the shape and the second wrap is to smooth out knee or elbow bumps and add a little colour and texture. Once baby has been photographed in the prop we will move to the beanbag. The second wrap is removed to reveal the first wrap and baby is placed onto the beanbag for the huck pose. If baby has wriggled and the wrap has moved, we will just spend a little time stretch and tucking the wrap underneath baby until we are happy with the way that baby and the wrap look. If you follow the link below you will see how we set up for the first pose in this wrap. You will need one of our posing wedges to help elevate baby’s head and create the perfect angle for the shot.